It's not very often that you get a chance to take a very, very close look at a bee. But these gorgeous macro pictures of bees, wasps, and more show us just how much we've been missing out on. Images: Sam Droege / USGS Bee Inventory and Monitoring Lab. 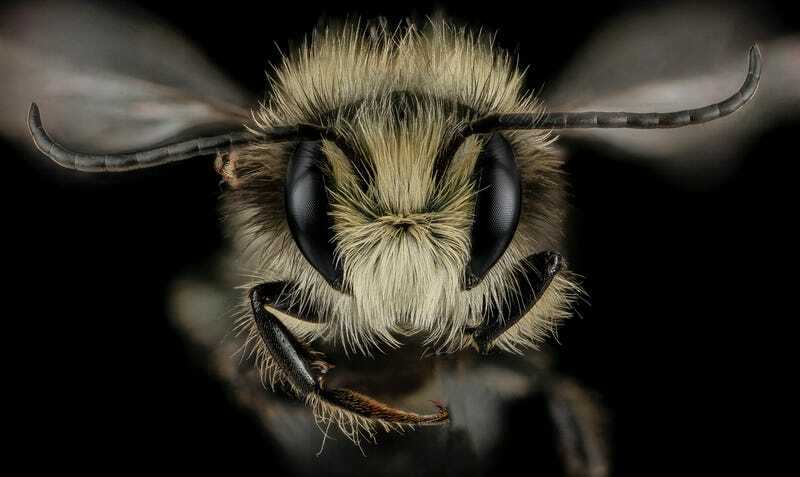 The photos are a part of the USGS Bee Inventory And Monitoring Lab's ongoing examination at all the different species of bees, wasps, and more that live around us — and it has a whole host of new close-up shots for National Pollinator's Week. Here are just some of our favorites. I've also invited the photographer behind these pictures, Sam Droege, to tell us a bit about the photos and how he takes them in the comments. So if you have any questions for him, ask away!